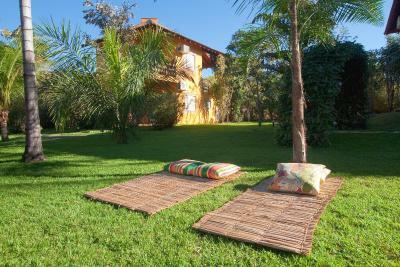 Lock in a great price for Hotel Pousada Águas de Bonito – rated 8.9 by recent guests! Very comfortable laid-back atmosphere. Beautiful setting. Convenient and extremely helpful staff. Easy to relax and enjoy the unique environment. 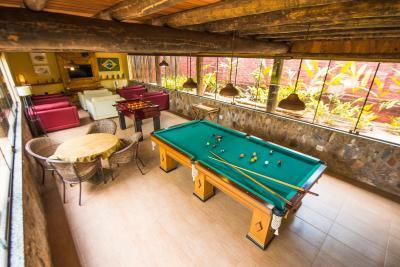 I enjoyed my time at Aguas de Bonito.the rooms are centred around the pool in a well-kept, flowering garden. 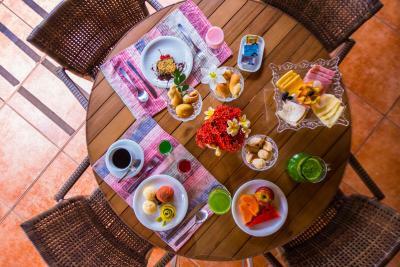 The room was clean and comfortable and the air con kept us nice and cool.Breakfast was self service with a great selection of foods. The staff were really friendly and helpful. The facilities were great, a heated and outdoor pool. Outdoor and indoor pool made it great for the kids . Great Hotel to stay in Bonito. Nice garden and breakfast. The Café Pantaneiro, in the afternoon was great! Spacious room, in the afternoon there's a rich buffet with cakes and coffee. As comodidades, o pessoal, principalmente o pessoal do restaurante (nota 10!! 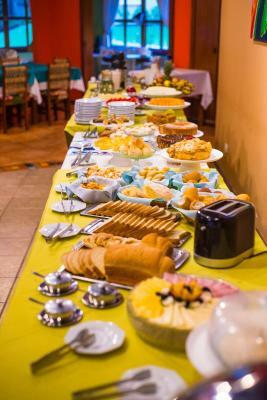 ), e lanche cortesia espetacular!!! O lugar é maravilhoso! O café pantaneiro é muito delicioso e mesmo com chuva podemos curtir a piscina aquecida! 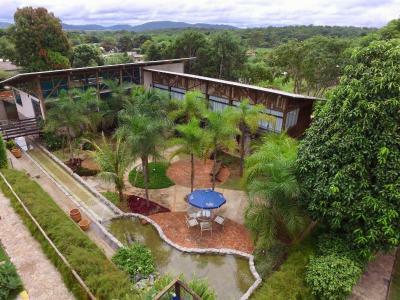 Hotel Pousada Águas de Bonito This rating is a reflection of how the property compares to the industry standard when it comes to price, facilities and services available. It's based on a self-evaluation by the property. Use this rating to help choose your stay! 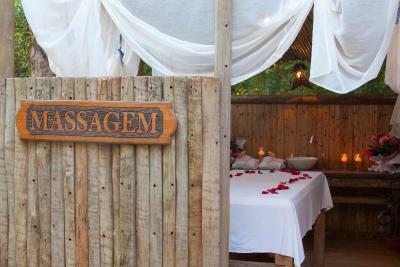 Surrounded by a tropical garden, Águas De Bonito offers an acclimatized outdoor pool and a spa offering a hot tub, a sauna and massage treatments. 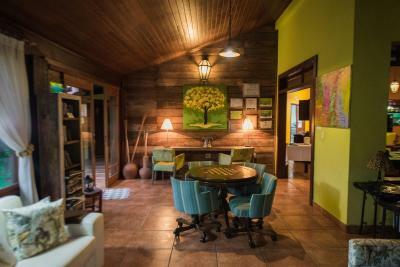 It is located in Bonito in the beautiful Pantanal. WiFi is free throughout the property. The on-site tour agency arranges different tours to nearby highlights in this large protected eco system, such as river floating in the crystal clear waters, cave diving and bird watching. Rooms are well decorated and equipped with air conditioning and a TV. 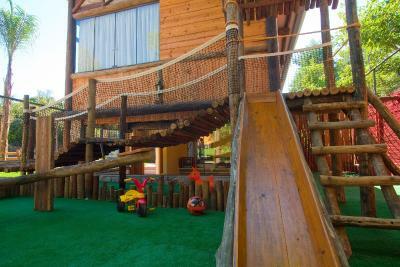 All have a private balcony with a hammock and offer garden and pool views. 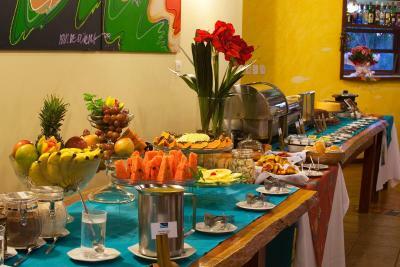 A characteristic Brazilian buffet breakfast with fruits, juices and breads is served in the restaurant. 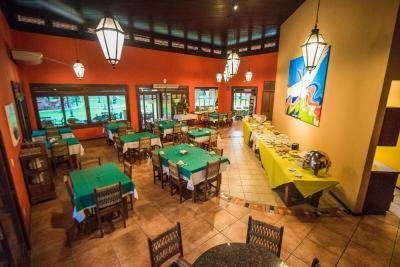 Tasty à la carte dishes with regional delicacies are served during the evening. 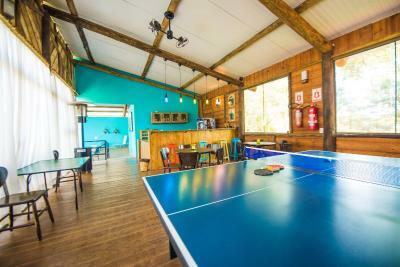 Other facilities include a TV room equipped with a home theater system, a games room with a billiard table, a children's play room and a playground. 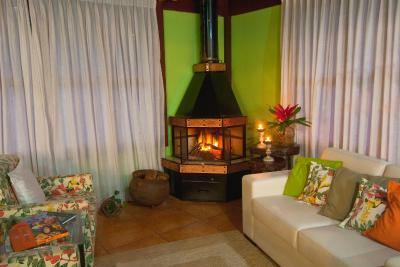 Águas De Bonito Pousada is located 0.6 mi from the bus station and 3 hours by car from Campo Grande. Free private parking is available on-site. 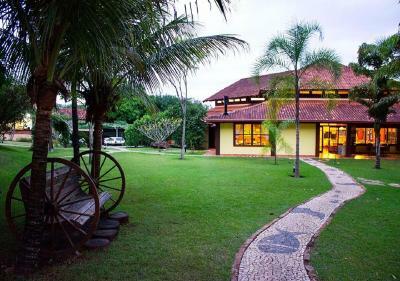 When would you like to stay at Hotel Pousada Águas de Bonito? This air-conditioned room is located on the ground floor and features a mini-bar and private bathroom with a shower. Free WiFi is available. This superior room is located on the top floor and has a balcony with view of either the garden or the pool. The balcony offers complete privacy and a hammock. Rooms include a queen-sized bed with a box-spring mattress. The room has climate control with both air conditioning and heating. It includes a TV, telephone, mini-bar and digital safe. Free WiFi is available. Exclusively for couples, there are four rooms in this category: a breezy room with a window, a light-colored room with artisan furniture and floral accents, and rooms with a private balcony with views of the garden or the pool. Rooms include a queen-sized bed with a box-spring mattress. The room has climate control with both air conditioning and heating. It includes a TV, telephone, mini-bar and digital safe. Free WiFi is available. 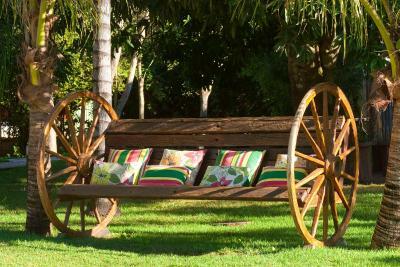 House Rules Hotel Pousada Águas de Bonito takes special requests – add in the next step! Hotel Pousada Águas de Bonito accepts these cards and reserves the right to temporarily hold an amount prior to arrival. The service is very poor. The receptionist didn't know nothing about the Tour Agency located in the hotel. There's a laundry service and we booked it, but our laundry wasn't ready at the departure. In the evening the restaurant was closed because of a private party. The guests weren't informed about that. During the night the temperature in the room was awful cold, the air condition didn't help. The shower wasn’t that powerful and it leaked through the glass partition onto the floor. The WiFi did not work, the connection kept dropping in and out.